I felt like baking lately because I missed it so much! Living a year without oven was sad but there were times I attempted to bake cakes with a friend who had one but our cakes didn’t turn out great in texture, even for basic ones, like French yoghurt cakes :( In the end, we concluded it was because the Chinese flour quality wasn’t good so that’s why it happened. Unless you’d be willing to buy imported flour, your baking experiences are pretty much doomed there. 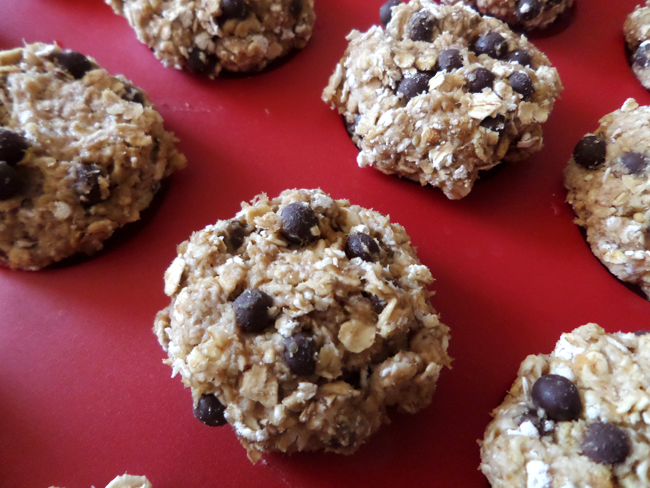 Meanwhile, an American friend introduced me to oatmeal cookies and I totally loved them! She just stirred all the ingredients in a pan before shaping the cookies and let them cool down on a sheet of aluminium foil/wax paper. I didn’t know we could use oatmeal in that way so I was pretty amazed and asked her for the recipe! I’ve been trying to eat healthier since I came back, I decided to look for a healthier recipe with no sugar and no butter. 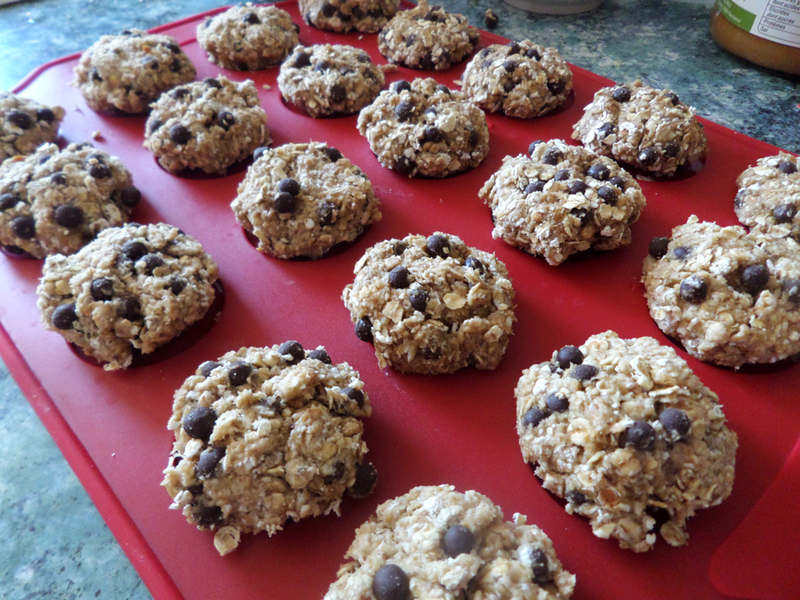 That’s when I stumbled upon Blogilates’ Easiest Healthiest Cookie Recipe in the World which is the base recipe of what I made in today’s post. I tweaked it a bit :) My variant includes chocolate chips and peanut butter ! Start by mashing the banana in a bowl with a spoon, then add the oatmeal and stir. Put the peanut butter, stir until it’s spead evenly in the mixture. Shape your cookies with your hands and lay them on a sheet of wax paper. Bake them in the oven at 150°C or 350°F for 15-20 minutes. Once you take your cookies out of the oven, let them cool down. Oh yum, they look sooooooo delicious!